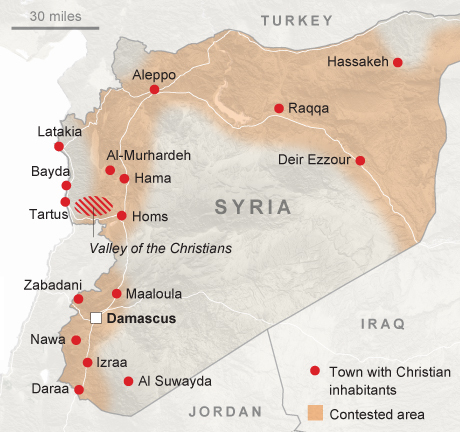 The situation in Syria is dangerously veering out of control, with the US threatening strikes against the Syrian Arab Army while Russia has suggested that it would shoot down any incoming threat to its servicemen. The alternative media is ablaze with speculative talk about the onset of World War III, and a distinct feeling of unease has suddenly spread across the world. All objective observers realize that Russia and the US have drastically raised the stakes in Syria, with each side escalating their diplomatic rhetoric and military posturing to the point where it indeed appears as though the world is on the brink of total war between the two strongest nuclear powers. The problem with this convincing analysis, however, is that it doesn’t take into account whether either of the two sides is bluffing, and it doesn’t draw a distinction between illusion and intent. Instead, it takes every move and word at face value and discounts the obviousness of both parties waging a psychological war against the nerves and resolve of their decision-making counterparts. Everything that is playing out right now is part of one big show in which both sides are signaling to the other that there are certain red lines that they won’t accept the other crossing, though it’s unclear at this moment whether either Great Power will follow through on their implied threats if the other oversteps their bounds. This is why it’s very likely that one of the sides is bluffing, though as games of ‘chicken’ such as this one sometimes end up, it’s very possible that one or the other actor will test the limits in seeing how far they can go, thus either calling their rival’s bluff or triggering a new series of conflict escalations. There’s no comfortable way to get around this fact, so it’s best to be as blunt as possible in the following analysis. Russia and the US have both articulated what in practice amounts to their own red lines for Syria. Moscow declared that “any missile or air strikes on the territory controlled by the Syrian government will create a clear threat to Russian servicemen”, reminding the US that “Russian air defense system crews are unlikely to have time to determine in a ‘straight line’ the exact flight paths of missiles and then who the warheads belong to. And all the illusions of amateurs about the existence of ‘invisible’ jets will face a disappointing reality.” This was popularly interpreted as Russia essentially saying that it will use its S300 and S400 systems to shoot down any jets or cruise missiles that the Pentagon uses to bomb the Syrian Arab Army (SAA), acting on the justification that this sort of immediate response is necessary in order to safeguard the lives of Russian servicemen who might be embedded with the SAA in whatever the targeted location might be. The US was less direct and relied on CIA and Pentagon “leaks” to reveal its position, which pretty much came down to a desire to bomb the SAA in order to save face for the Russian military and SAA’s astounding anti-terrorist successes around Aleppo since the collapse of the cessation of hostilities agreement in mid-September. To remind the reader, the whole reason why this deal fell through was because Pentagon chief Ashton Carter sabotaged Obama and Kerry’s commitment to it and essentially carried out a “deep state” coup in usurping control of the world’s largest military apparatus from the elected Command-in-Chief. 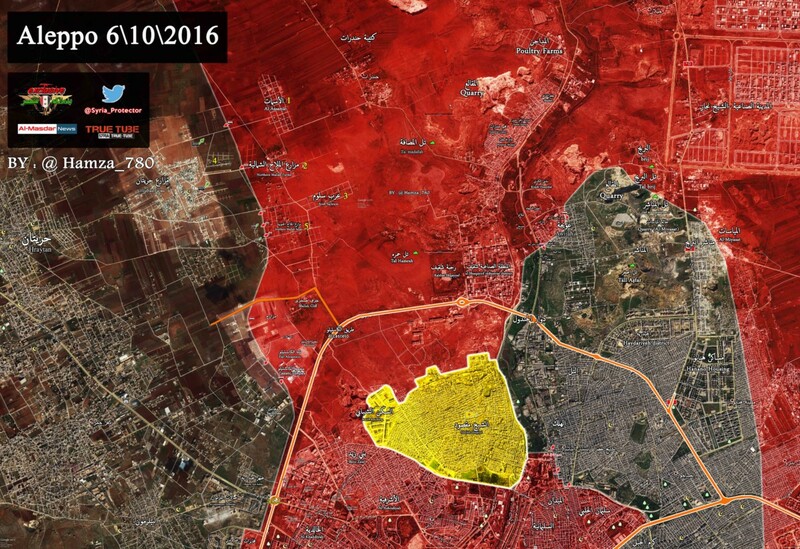 To review, Russia’s red line is any US attack against the SAA, while the US’ is the successful liberation of Aleppo. Syria’s second-largest city could be freed from the terrorists without the US having to launch missiles against the liberators in response, while Russia should rightly defend its servicemen from American attacks if their lives are in danger, so it’s obvious that the escalation prerogative rests solely in the hands of the US, specifically Secretary of War Carter and his “deep state” (permanent military-intelligence-diplomatic bureaucracy) backers. Everything that was written above is factual and not at all any form of hyperbole, but facts have a curious way of morphing into an indistinguishable form of fiction the longer that the media talks about them and rouses their respective audiences’ emotions. That’s plainly happening right now when it comes to the skyrocketing Russian-US tensions over Syria, though not without good reason, of course. This is a veritably the most important and urgently pressing issue in the world right now due to the enormity of what’s at stake, so it makes sense for all sides to discuss this at depth. Whether intentionally or not, however, the media frenzy from both mainstream and alternative commentators has led to a situation where a plethora of assumptions are seamlessly being inserted into the discussion and discoloring the factual purity of what’s really going on. Take for instance the unquestioned assumption on behalf of the American media and “deep state” decision makers that the US must “do something” to prevent or forestall what they term as the “fall of Aleppo”, otherwise they’ll be forced to “do something more” to “punish” Russia and Syria for making this happen. The circular groupthink at play here is very dangerous and could foreseeably amount to unprecedentedly deadly consequences if it gets out of control, and there’s no certainty that it won’t because nobody honestly knows who the power behind the Pentagon is at this point. Obama is “officially” the Command-in-Chief but he was neutralized after Secretary of War Carter overrode his ‘ceasefire’ deal and unilaterally sabotaged it by bombing the SAA in Deir ez Zor, and while it might appear that this means that Carter is the one in charge, he’s just a representative of the hardline neoconservative “deep state” faction which used him to seize control of America’s military. From the reverse angle, the Russian side is also full of assumptions too, though of a qualitatively different nature. Moscow’s official statements on the matter make it clear that it would act on the condition that it believes that the lives of Russian servicemen are in danger. The particularity of this language is important because legally speaking in terms of the legislation approved by the Russian Duma and President Putin’s public statements on the matter, the Russian anti-terrorist operation in Syria is aimed solely at eliminating terrorists, not necessarily protecting the territorial integrity of the Syrian Arab Republic nor the safety of the SAA. The latter two objectives are understandably assumed to form part and parcel of Russia’s mission there seeing as how they’re operationally inseparable from the stated goal of fighting terrorism and sustaining the gains that have thus far been achieved, but when dealing with high-stakes rhetoric at the Great Power level and in the context of a speculated nuclear escalation ladder, technicalities such as these are very important and mustn’t be ignored. Media commentators might pay them no attention, but it’s a sure bet that the Pentagon’s strategists are obsessing over these fine details and gaming out how far they can go in getting away with their vaunted ‘face-saving’ strike on Syria. Russia and the US know that a conventional engagement between their militaries would instantly throw the world into its worst-ever crisis, immediately spiking the prospects that an apocalyptic nuclear exchange could soon follow if the security dilemma between them is perceived as being insurmountable by that point in time. This is very dangerous and shouldn’t be taken lightly at all, which makes it all the more crazier that the US might seriously be entertaining whether or not it feels “lucky” enough to try and call what it believes to be Russia’s bluff. The way that the Pentagon is analyzing the situation right now is that Russia could halt the threatened escalation that the US is blackmailing it with so long as it stops assisting the SAA with anti-terrorist bombing assistance around Aleppo. The liberation of Aleppo would irreversibly move the War on Syria to its final stage, putting the Syrian people and their democratically elected and legitimate government on the path to victory in dealing the US its worst-ever and most publicly embarrassing defeat in history. 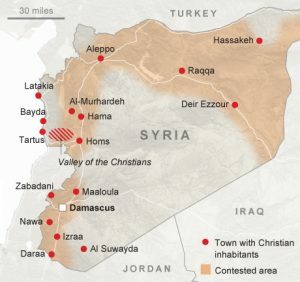 This is the reason why the US is so frenziedly invoking the unmistakable specter of nuclear war, since Syria and Russia have never been closer to liberating Aleppo than they are now, and ironically only because the Pentagon sabotaged the ‘ceasefire’ and inadvertently unshackled Damascus and Moscow from its restrictive military conditions. The US could bow out of the war and let history rightly run its course, but the zealous neoconservative ideologues that have captured control of the American Armed Forces seem intent on staging one last grand stand before the US’ epic retreat from the conflict. This is why they carried out the “deep state” coup in going against Figurehead Obama and bombing the SAA in Deir ez Zor, all with the now-debunked expectation that this would somehow intimidate Russia and Syria and thus compel them into game-changing concessions. To the rational observer, such a scheme was doomed to fail from the get-go, but one must understand that the personalities behind this plot see the world in a completely different light than most people do, largely because of the self-deluding groupthink that pervades their faction. The point isn’t to argue about just how absurd this gambit is, but to demonstrate to the reader how the plotters conceive of the world and provide insight into predicting their next possible course of action in the War on Syria. There’s no way that Russia will ever give in to the US’ blackmail and halt or curtail its anti-terrorist operation around Aleppo just because the Pentagon is threatening a missile strike against the SAA. Moscow and Damascus would of course prefer the peaceful route to solving the conflict that the US thrust upon the Arab Republic, and there’s still the very vague chance that a French-backed UN ‘ceasefire’ might end up being something attractive for Russia and Syria to pursue, but for now both sides are passionately intent on liberating Aleppo as soon as possible and are holding back at nothing to achieve this monumental objective. Therefore, the neoconservative “deep state” coup faction represented by Secretary of War Carter might actually take the previously unthinkable step of launching attacks against the SAA in order to offset this eventuality or “punish” the Syrians for routing the terrorists. Carter and his ideological clan are trying to figure out whether Russia’s carefully worded announcement that it will shoot down any incoming warplanes or cruise missiles that pose a plausible threat to its servicemen is a bluff, or whether they could exploit the technical nature of the statement and the Russian military presence in Syria in order to “bend the rules” and see what they can get away with. From the Pentagon’s perspective, it’s unclear to the zealous ideologues if President Putin has the political will to order his military to shoot down any US warplane or cruise missile aiming for the SAA or if it’s possible to notify Moscow in advance of Washington’s intent to symbolically send a couple of ‘face-saving’ salvos to destroy a few SAA runways far away from the locations where Russian servicemen are stationed. Carter and his cronies might be calculating that President Putin won’t raise the stakes in attempting to shoot down whatever assets the US depends on in carrying out this possible strike, wagering that he’ll “let them get away with it” especially if it’s “only” cruise missiles that are used in this operation. The US doesn’t know whether the technical nature of the Ministry of Defense’s statement is an indication that there’s leeway that the Russians are considering, or if it was just purposefully ambiguous in order to preserve Moscow’s strategic flexibility in the event that Washington does indeed take military action. Should the Pentagon take this unprecedented step, it probably wouldn’t risk the lives of its own pilots in doing so, especially since it’s a lot easier for the S300/S400 to shoot down a plane than a cruise missile, and also because the destruction of a cruise missile doesn’t necessitate the same ‘face-saving’ ‘counter-escalation’ that Washington would be pressured to commence as the shooting down of a warplane pilot, especially right before the heated Presidential Election. The US has the largest cruise missile stockpile in the world, so if it theoretically wanted to take “decisive action”, it could easily overwhelm the S300/S400 systems through an incessant barrage of attacks against the SAA, but that would definitely push Russia towards pushing the crisis up to and possibly even beyond the nuclear level, which even the most insane neoconservative doesn’t want (at least not until the US’ “missile defense” infrastructure is fully up and running, which will still take decades). Barring this unthinkable scenario, the Pentagon – if it ops to undertake such a course of action – would likely “moderate” its aggression and rely “only” on a few symbolic cruise missiles instead, taking care to notify Russia right beforehand of what its intended targets will be. The situation is very tricky because Russia and the US had probably exchanged intelligence about their on-the-ground forces in the run-up to the ‘ceasefire’s’ planned implementation, so in theory, the US could have previous information about the on-the-ground location of Russian servicemen that Moscow might have earlier volunteered (which explains why the Deir ez Zor location was bombed and not somewhere near Aleppo, for example). The key distinction, however, is that this information would be outdated, and there’s no guarantee that Russia didn’t move some of its servicemen to SAA-administered military facilities that the US previously thought were only manned by the Syrians. Washington simply doesn’t know if the place that it would be targeting has Russians on the ground there or not, so it would be a ‘leap of faith’ that would represent one of the most irresponsible decisions that the US – or any other country, for that matter – had ever taken in history. Going along with the scenario, if the US lobs cruise missiles at a secluded but symbolic SAA facility and notifies Russia right after the projectiles are already airborne and en route to their destination, then the Russian military – if it doesn’t already have a mandate to shoot down all incoming hostile objects – would be pressured to make a split-second determination over whether or not this attack threatens its servicemen. 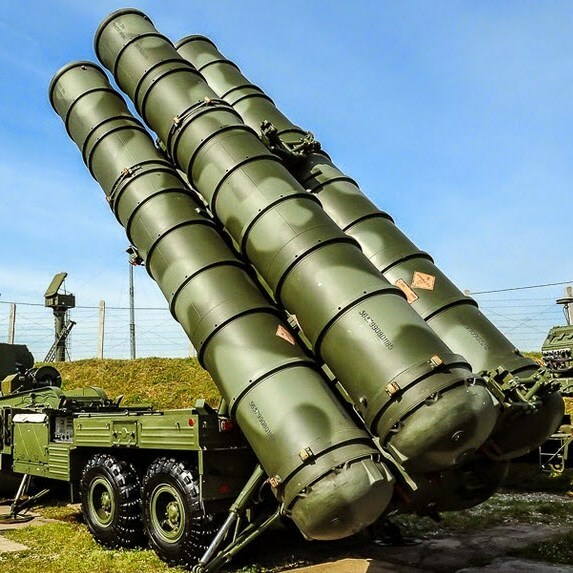 If Russians are on the ground at the location, then the military will shoot down the incoming assault vehicle, but if they aren’t, then the S300/S400 commanding officer will either have instructions from Putin for how to deal with this or would be tasked with making his own decision given the circumstances. Russia knows that the defensive act of shooting down an incoming American cruise missile aggressively targeting the SAA or perhaps even its own servicemen would be exploited by the US as a “provocation” in triggering a predetermined escalation ladder, so the weight of the world will be on its shoulders in deciding how to respond to such an egregious act. The Pentagon might even want to purposely “call Russia’s bluff”, as they see it, in response to Russia doing this to the US as regards the liberation of Aleppo. The author personally believes that Russia should secure all of Syria’s airspace and the safety of every SAA serviceman and servicewoman from each and every incoming attack that the US might launch against them, whether by warplanes, cruise missiles, or whatever other vehicles they may use, but it must be countenanced by all observers that there is a faction of the Russian elite which might be arguing that it’s better to “take the loss” than to “unnecessarily trigger” (as they see it) World War III, especially if they think that the apocalypse might be started if they shoot down a few cruise missiles that Carter and his ilk symbolically launch against an SAA airfield in the middle of the desert, for example. Again, the author firmly believes that it is Russia’s moral responsibility to safeguard the territorial integrity of the Syrian Arab Republic from all outside conventional threats and that this is an absolute necessity in order to sustain the impressive anti-terrorist successes that have thus far been achieved one year after the beginning of the Russian mission in the country, but it can’t be ruled out that actual decision makers inside the Kremlin and within (or in close vicinity to) President Putin’s inner circle think differently about this. Therefore, given the technicality expressly mentioned in Russia’s official statement about how it would respond to any threat against its servicemen in Syria, it’s horrifyingly possible that the “deep state” coup elements that have taken control of the Pentagon and the US’ operations in Syria might want to “test the waters” and see how far they can go in “embarrassing” Russia and “punishing” it and Syria, which could see them deciding to send a few cruise missiles according to the scenario hitherto described in this article in order to see if it can “call Moscow’s bluff”. It would be one of the worst instances of bad judgement in the history of the world if Carter takes this step and is proven wrong by the Russians, since Moscow might not stop at shooting down the cruise missiles over Syria but could even send a couple of its own in equal measure against the air and/or naval assets that launched them in the first place. Andrew Korybko is the American political commentator currently working for Sputnik agency.